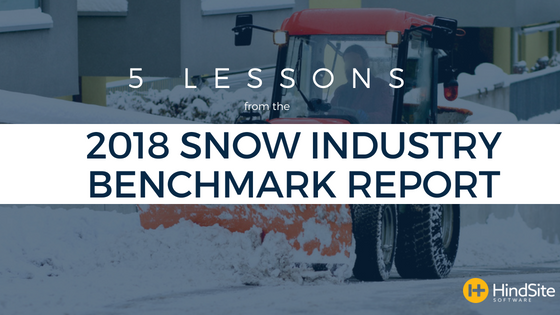 We recently released our 2018 Snow Industry Benchmark Report based on a survey of more than 150 snow removal professionals. The report delivers insights about typical snow removal businesses processes, practices and results, helping snow business owners compare their business to that of their peers. Perhaps the most surprising response from the 2018 Snow Industry Benchmark Report was how few respondents say they use their website to generate leads. While just under 40% of respondents use their website to generate leads, 10% - second only to word of mouth - said their website generated the most new business. It seems many contractors are actually turning to social media instead of a website to promote their business, with about 40% of respondents indicating they use social media to generate new business. There’s no doubt you need to leverage social media to grow your business, but relying on social media is a bit like relying on the Yellow Pages. Unlike a Facebook page, a web page is like your virtual home on the Internet that you own and control. Most shoppers perform some kind of search when trying to find contractors, so having a website creates a lot more sales opportunities for your business. My guess is that most snow contractors, especially small ones, don’t leverage websites because they don’t have the time or knowledge. But there are a number of services - like Squarespace and Wix - that make it easy to create your own website. If that’s not for you, hire someone using services like Fiverr or 99Designs. For $500 to $1000, you’ll have a great, professional website. Given that only 40% of your competitors indicate they’re using their website to generate leads, think about how to get found by local shoppers. It’s likely that just by using a few of the suggestions in our eBook, Local SEO for your Green Industry Business, you’ll likely rank fairly high in your territory. Remember, you don’t want to rank for Snow Removal, you want to rank for Snow Removal in <Your Town>. For most snow contractors, the 2017-18 snow season was good for business. 18% of contractors saw 20+% more snow events this season, and 60% saw more snow events that the previous snow season. As a result, only about 10% of respondents saw their snow revenue decline, a considerable win in a business that relies so heavily on the weather. As a result of the increased snowfall, businesses that had a larger mix of per event and/or time and material contracts were more profitable. Owning a snow business is a bit like gambling. If you get a lot of snow and have monthly or seasonal contracts, you’ll likely be less profitable. If you have more event-based contracts where you’re getting paid for the amount of work you do, you’ll obviously be more profitable. Your location also probably plays a role. If you’re in a fringe snow region in the south, you may want to take all the revenue you can get and use seasonal and monthly contracts as much as possible. If you’re in traditionally high snowfall regions, you’ll likely want to push your customers for more event-based billing. Whatever you do it’s good to analyze your contracts at the end of the season and try to calibrate them into whatever mix you think will make you the most money the following year. The typical snow business with more than 5 employees is using subcontractors to manage their snow removal routes. In fact, nearly 80% of those with more than 20 employees said they rely on subcontractors to some degree. 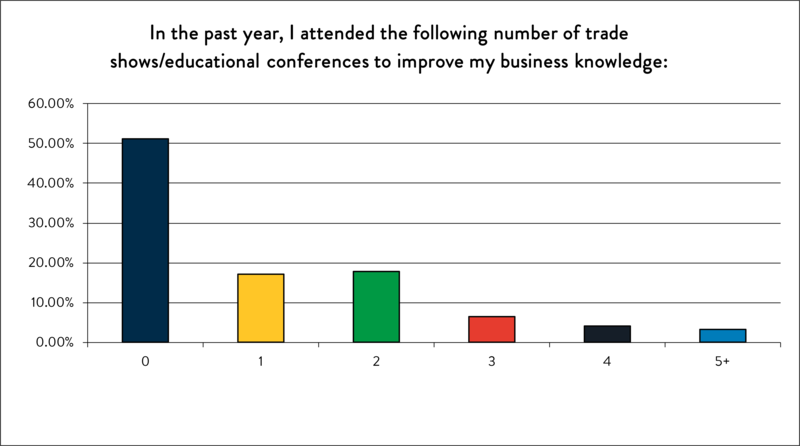 Usage of subcontractors is especially pronounced among businesses that focus on commercial properties, with 65% of those businesses, regardless of size, leveraging subcontractors. 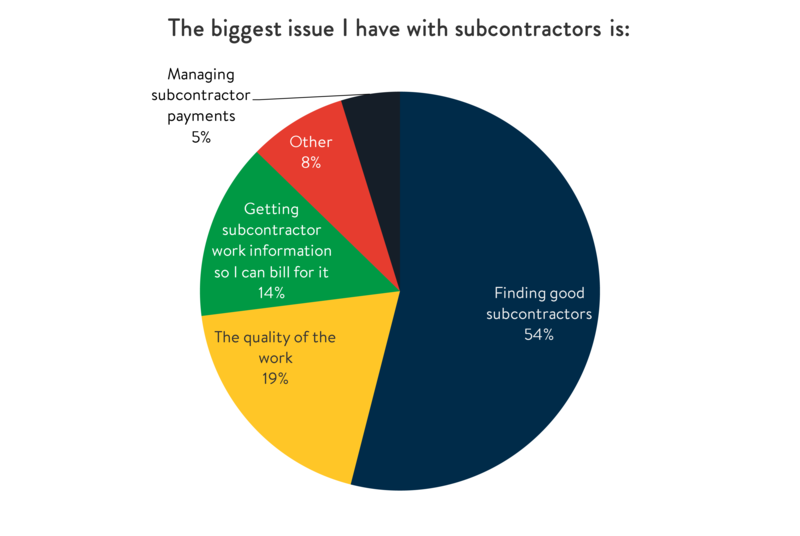 As a result, good subcontractors are in demand, which is why 54% of respondents who use subcontractors cited "Finding Good Subcontractors" as the #1 issue they have with their subcontractors. Want to find better subcontractors? Pay fast. Subcontractors don’t want to wait weeks or months to get paid. They’re in demand, so they’re going to choose the snow businesses that pay them fastest. In fact, those that pay their subcontractors within a week of an event are 20% less likely to indicate they have an issue finding good subcontractors than their slower paying peers. So the faster you pay your subcontractors, the more likely you are to be able to attract and retain great subcontractors. Snow removal is a relatively niche job. It typically only happens in northern climates and is generally done by businesses that do other work in the summer which generates more money than snow removal. As a result, there aren’t a lot of local or statewide organizations for the typical snow removal business to join to learn how to improve their business. But that doesn’t mean as a snow removal provider you should give up on educational opportunities. 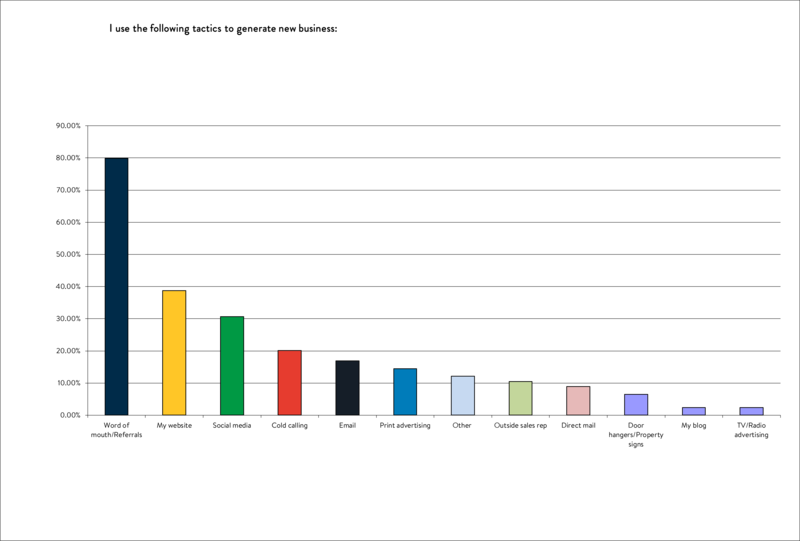 SIMA is a great national snow trade organization, with 25% of our respondents belonging to the group and many citing their Snow Symposium as the best trade show they attend annually. 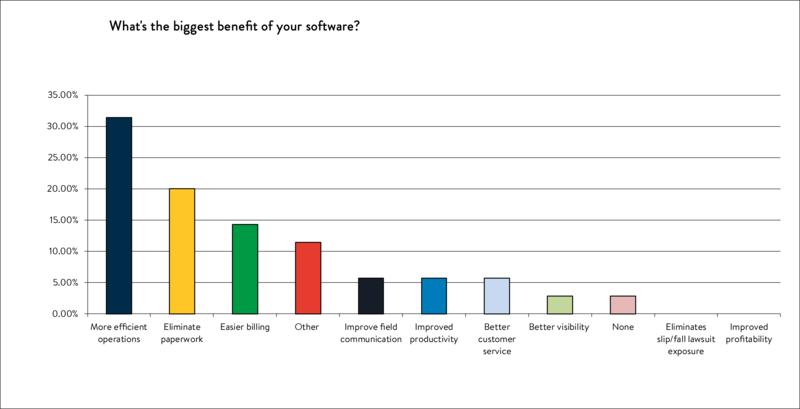 The Snow Industry Benchmark Report also found that those who attended educational events - about half the respondents - were slightly more likely to experience profits in excess of 25% than their peers who didn’t attend events. Though local opportunities for education may be sparse, joining a nationwide trade association has its benefits, namely the ability to connect, learn and improve based on the experiences of non-competitive peers. We exhibited at the SIMA Snow and Ice Symposium in 2014 and the buzzword at that show was GPS. The majority of people we talked with were looking for a GPS tracking solution for their business. Fast forward four years and it looks like many of those snow providers invested in GPS tracking devices, especially if they employ more than 20 employees. About 70% of businesses with more than 20 employees use GPS tracking software, and about 35% of those with between 6 and 20 employees do. So GPS tracking has taken off in the snow industry. But field service software - essentially software that simplifies tracking and billing customers and paying subcontractors, is not as frequently used by snow businesses, with about 10% fewer snow contractors using field service software at each employee count tier when compared to GPS usage. But that shouldn’t be the case. In addition to enabling you to deploy your team faster, manage your team better during an event, capture detailed work history and invoice immediately, snow removal software can also help you manage your subcontractors and pay them quickly, which, as we discussed earlier, helps you attract and retain better subs. Not only that, but it can help you capture work information in real-time, information that not only makes it easier to bill immediately when the snow event ends, but also information that ensures you’re capturing every dollar you’re owed. We discussed contract mixes earlier - one way to maximize your revenue is to have a heavier mix of event-based contracts. Software ensures that you’re billing accurately for those contracts every single time so you get paid every penny you’re owed. That’s important if you have a riskier contract mix. Want to learn more ways to improve your snow removal business? Check out our Snow Industry Benchmark Report today!